Smooth and creamy, perfect pumpkin pie. What begins as a classic, with a flaky, all-butter pie crust and flavorful pumpkin custard filling, is transformed with the addition of roasted sugar and warming chai spices, for what has become a holiday family favorite. That’s right. 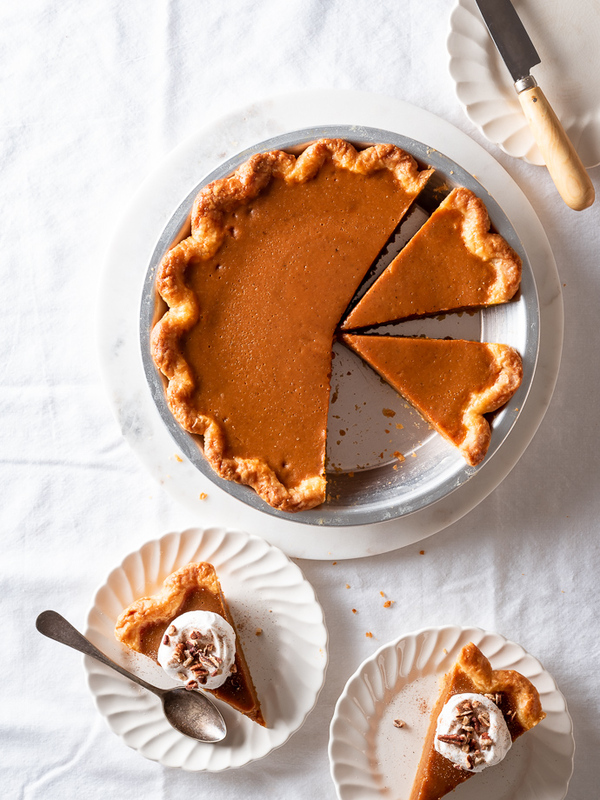 This roasted sugar pumpkin pie is all kinds of perfect. You won’t see a lot of “best” labels on this blog, but I’m making an exception for this beauty. Flaky all-butter crust. Decadent chai-spiced pumpkin filling. And a secret ingredient that takes things over the top. Well, not so secret. I told you right there in the title – roasted sugar. It’s easy and delicious and perfectly at home in this otherwise mostly traditional pumpkin pie. 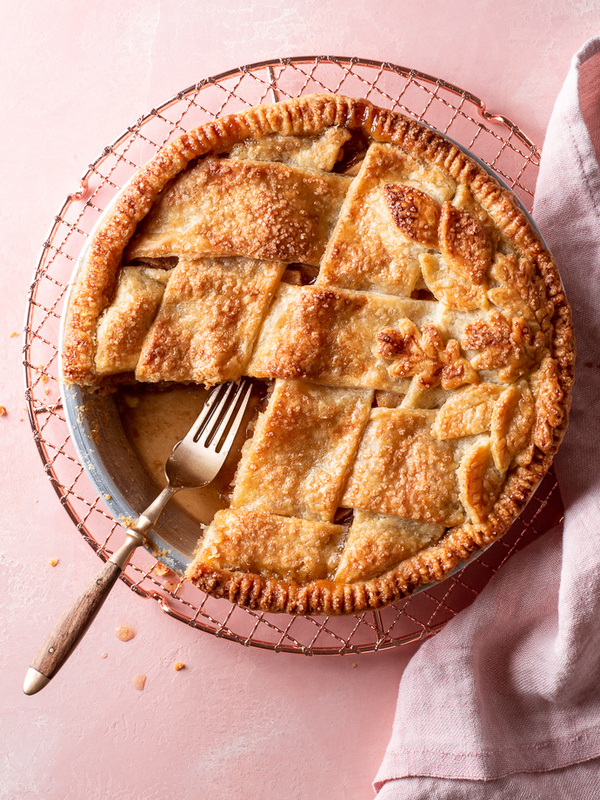 Classic apple pie with a flaky all-butter lattice crust and a brown sugar, cinnamon-spiced apple filling. 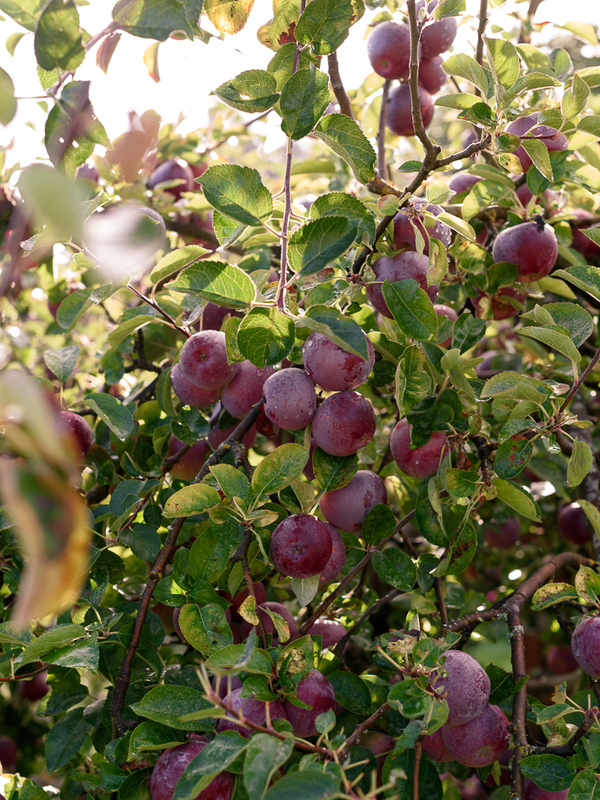 An all-time favorite, you’ll want to commit this crowd-pleasing Fall treat to memory! 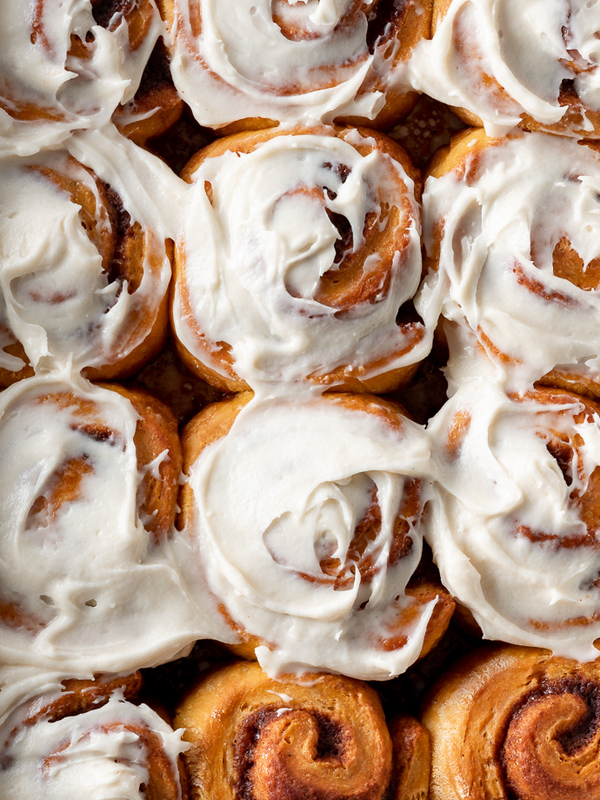 When it comes to your favorite tried-and-true desserts, which are the recipes you turn to again and again? For me, apple pie easily breaks the top five. And that’s coming from a girl who’s cooking up something sweet most days. Last week was a really long week. I’m not a fan of the hustle culture, so when I say that life has been way too busy lately, please don’t read that as a humblebrag. Quite the contrary. More like, for the briefest of moments I had all of the balls – baby, marriage, work, house, dog, renovations – juggling nicely in the air, but have since fumbled just about all of them, Henry’s grabbed at least one and is toddling directly towards the stairs, and my multitasking skills certainly aren’t winning any awards. Lest you ever think based on all of these pretty desserts that I have it all together, know that I’m currently still wearing pajamas at 2:00pm, and Henry is taking his nap… in a pack-n-play in our master bathroom, since we still haven’t finished painting his new room.